BlackStar Film Festival Aug. 1-4 | Black February, a film about Butch Morris. The BlackStar Film Festival starts today in Philadelphia. Black February will be screening as part of the festival on Saturday, Aug. 3 at the Drexel University Papadakis Auditorium. We’re particularly excited that Greg Tate, leader of the Burnt Sugar Arkestra, renowned music critic, and dear friend of Butch, will be at the show for a post-screening Q&A. All the details you need are on the festival’s website. 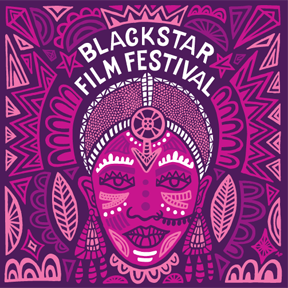 The BlackStar Festival is a celebration of cinema focused on work by and about people of African descent in a global context. BlackStar highlights films that are often overlooked from emerging, established, and mid-career directors, writers and producers working in narrative, documentary, experimental and music video filmmaking. This entry was posted on August 1, 2013 at 8:17 am and is filed under Uncategorized with tags BlackStar Film Festival, Greg Tate, Lawrence D. "Butch" Morris, Philadelphia. You can follow any responses to this entry through the RSS 2.0 feed. You can leave a response, or trackback from your own site.